Lancashire Remapping offer a range of motorhome tuning be it a ECU remap or a plug in tuning box. Because motorhomes are built on a van chassis, yet often are fully loaded with large bodywork and heavy interior fittings, they can tend to feel under-powered and, in turn, prove to be more thirsty on fuel and returning poor MPG because the engine is having to work so hard, especially on hills and windy conditions. A remap from Lancashire Remapping can give your motorhome significantly more power, usually 25% plus, providing you with improved driveability and less gear-changing. It also means your engine isn’t having to work as hard because of the massive improvements in low-rev torque a remap will provide. Because your engine has more power and gives you a more relaxed drive, with fewer gearchanges, you can also expect an improvement of between 8% and 12% in economy, perhaps even more on some vehicles depending on your driving style. 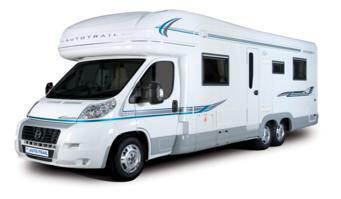 You have already invested thousands of pounds in your motorhome. Why not go ahead and give it the power and economy it deserves to make your ownership not only more enjoyable, but more economical too. Please call us on 01772 603224 to discuss your requirements.